Every grieving person ends up alone in the kitchen at some hour of the night. Here are some delicious and nourishing ways to lift the burden of cooking from their shoulders. I read this article and found it very interesting, thought it might be something for you. The article is called The Good Work of Providing Good Food for Solace and is located at http://modernloss.com/the-good-work-of-providing-good-food-for-solace/. I am the youngest of three sisters. A few years ago, my oldest sister died of cancer. The time of her illness was taxing for many reasons, one of which was the traveling required near and far to help care for her. When I was deep inside it, this period felt like an endless, fathomless expanse of push and pull, of never quite being where I was. My mind and heart were half at home and half with her, whichever place I happened, physically, to be. And then it ended, as illusions of endlessness often do, and we tumbled, as a family, into the truly endless and fathomless landscape of grief. 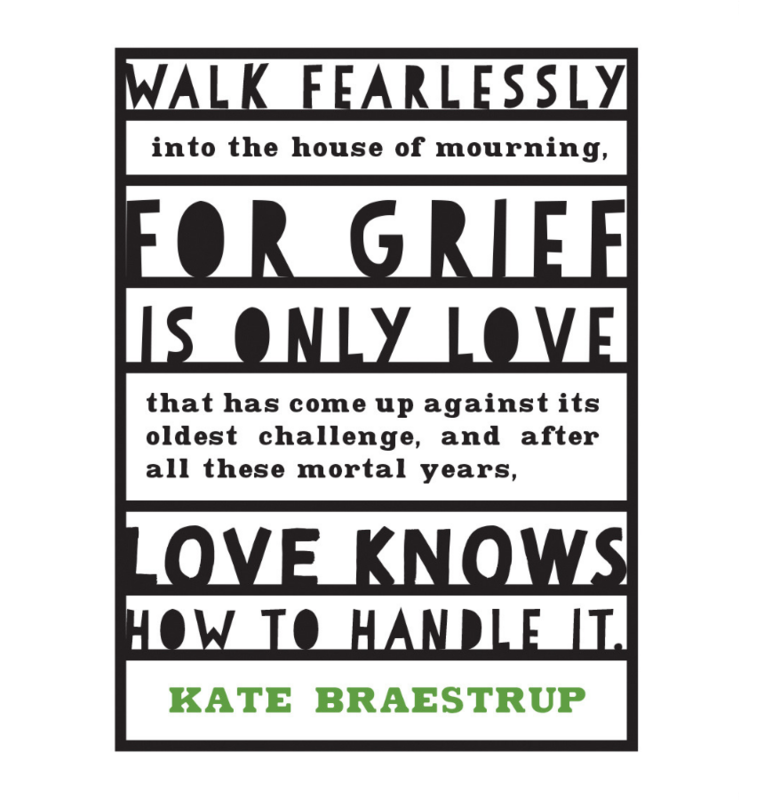 I can’t say that I had many conscious expectations about grief, having spent two years fervently praying it would not be part of my near future. But I suppose, as I tumbled, I expected that the shift would be about the falling away of all the tasks and other distracting things mixed up in the tumult of her sickness and dying, about finding the pure sadness of loss. This was true, but it turned out to take a great deal longer and demand far more labor than I imagined it would. Managing through an illness involves a lot of work, most of it not easy. But grief in the aftermath of one is not an exemption from labor. 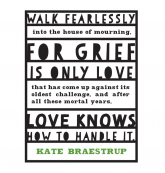 Grief is work: arduous, demanding, tiring effort, especially in its early stages. Just about every moment of light in my life from the moment I received the first phone call about her diagnosis to the period after her death had light in it because of the goodness of friends. We were so thoroughly fed by the steel network of community around us that I lost count of my blessings. Already a big believer in the value of friends cooking for friends, I became essentially devout. For months and months as I traveled and then as I faced the reality that I didn’t need to travel any longer, friendship arrived at our doorstep as bags of bagels and baskets of fruit to fill my children’s lunchboxes; as soups to freeze for later; as full gorgeous meals plunked right onto the table; and as the mailbox surprises of a bar of spicy Mexican hot chocolate, its sweetness carrying a welcome bite of heat, and a box of hand-picked lemons sent from warmer climates to remind me that somewhere the sun was shining. In case you have never been on the receiving end of this kind of support, and are worried your ministrations may be unwelcome or intrusive, let me reassure you: It’s impossible to overstate how welcome and sustaining and valuable your thoughtful offering can be when a person or a family is taxed in this way. Positive psychologist and grief counselor Maria Sirois says that what is needed to support the grieving is the ability to “bear witness without flinching from darkness,” and this feels like a tall order to some. Many people are alarmed and alienated by other people’s grief, succumbing to a kind of paralysis in the face of it. People don’t want to intrude or bother, fearing that they might compound the stress of an already stressful time with unwanted intrusions. It’s so unlikely that your edible offering will be a bother, and the scale of the delivery is basically unimportant. The bar of chocolate in an envelope, the homemade gingerbread people and the store-bought bagels, the pocket-sized gestures and the trunk-loads of food all made indelible impressions. Each one was a strand in the rope that tethered me to the land of the living and together they eventually pulled me to my feet again, altered but upright. If you know the recipient well, it’s likely you can think of some thing that will either save the day for them (like packed lunch boxes for their kids, or meals timed and constructed to the particular needs and tastes of their household) or simply remind them, gently, of pleasure at a time when pleasures are both scarce and suspect. Just showing up in this type of situation is the key. And as useful as it is in the immediate aftermath of loss, it’s possibly even more so a few weeks or months out. By all means make contact right away with a grieving friend, so they know you are there, but don’t feel rushed to make your offering. It may be even more useful when it shows up in a time frame beyond the immediate aftermath of a death, when the grieving is assumed to be all done with. Again and again I hear grieving people struggle to accept that some friends have abandoned them in dark times, so here’s a gentle urging to let go of the impulse to speak only when you have thought of the perfect thing to say. A friend who says, “I don’t know what to say, but I’m here,” offers a live connection; a friend who is mysteriously absent is an additional drain on a person who can ill afford more sorrow. If the help offered is specific in nature, focused in time, and seems not to be causing you any extra trouble or travel—almost doing you a favor, in fact—then those in need are much more likely to take you up on it. Use what you know how to do, or just are plain willing to do, as one guide. Use what you know of the person in question as another, and shape your offer along those three guidelines. You’ll almost always get a taker. Utterly strapped for an idea? At some point in the aftermath of a diagnosis or loss a family’s kitchen can become a windstorm of bagels and fruit trays and tubs of hummus and cream cheese that seem to be capable of replicating in the dark of the fridge. Roll up your sleeves, unflinching, and bring order to the fridge and counters. 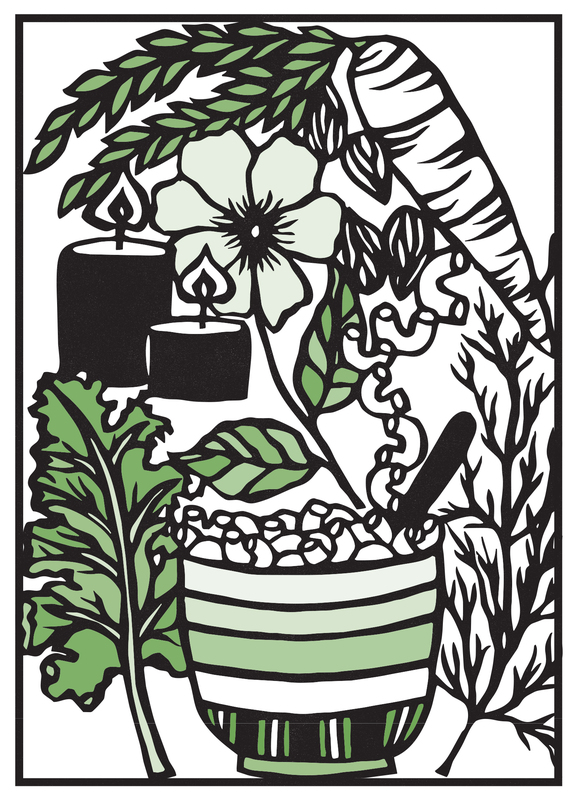 Slice excess bagels and freeze them, consolidate duplicate containers, remove furry things from the crisper, re-arrange picked over platters, take out the recycling and clean the sink and start a fresh pot of coffee and get rid, please, of the wilted flowers. Here’s the thing: no matter who has rushed to our side, pretty much every sad person ends up standing alone in the kitchen at some hour of the day or night. To see order there, to know that the prospect of wading through yet another task you’d rather not face has magically been lifted from your consciousness as if by well-meaning elves, well—that can be a huge gift. Atole is a beverage with ancient Aztec roots, often served as part of the Day of the Dead festivities and as a remedy for having taken a chill. With a kick of spice, a nourishing base of grain, and a soothing milkiness from dairy or coconut milk, atole is comfort food you can drink. With the addition of chocolate, atole becomes champurrado. Like its more well-known cousin horchata, and also like its savory brother from another mother, Congee, variations in the grain base are common enough in the places of origin to invite your own experimentation: try oat or rice flour if you seek an alternative to the corn. Without chocolate, this is a very soothing preparation; with chocolate, it is a treat with built-in sustenance. I suppose a splash of rum would not be wrong, if the circumstances seem to warrant it. Put the masa in a medium saucepan. Add the salt and then the water in a slow, thin stream, whisking constantly to avoid lumps. Bring to a simmer over medium heat. Whisk in the milk, sugar, cardamom, and chili. Return to a simmer and reduce the heat to low. Continue to simmer gently, whisking constantly, for about 5 minutes, until the drink is thickened and infused with the flavorings. Discard the whole spices and zest, and whisk in the chocolate. Thin with additional milk or water, as needed, to create a too-thin-to-eat-with-a-spoon, thicker-than-your-average drink consistency. Taste, and adjust the sweetness and salt to your preference. Ladle into mugs, garnish as desired, and serve. You can refrigerate this for later reheating in a tightly lidded jar, but it definitely should be served warm. It will keep up to 3 days refrigerated; simply thin with a little more milk or water and whisk it over low to medium heat to serve. These are super in soup, on top of pasta, or taken straight by the toothpick, fork, or weary hand. These meatballs represent all the nourishment needed to keep a weary person sustained in one tiny, savory package. Very finely chop the greens; you should have about 2 cups. Separately, finely chop the onion. This can be done in a food processor with a series of pulses; just watch carefully that you don’t puree them. In a large bowl, mix the ground chicken with the minced greens, onions, breadcrumbs, egg, herbs, and seasoning until well-combined. Cover and refrigerate for at least 10 minutes (and up to 1 hour), to allow the moisture in the ingredients to equalize. Use a pair of teaspoons (or a tiny ice cream scoop—I love any excuse to use my tiny ice cream scoop) to form meatballs about the size of grapes or cherry tomatoes—as small as you can bear to fuss with, remembering that they will shrink a bit as they cook. I like to get at least 50 of them out of the mixture if I can maintain the necessary patience. Heat the oil in a heavy skillet set over medium heat until it ripples. Working in batches, cook the meatballs for about 7 minutes total, shaking the pan around so the little fellows get tossed and all sides get nice and toasty golden. Remove each batch to a heat-proof dish as they are done, to await their further deployment. They can be held at room temperature for up to 4 hours, or (once cooled) refrigerated in a covered container for up to a week. You can also freeze the cooked meatballs for up to a month. 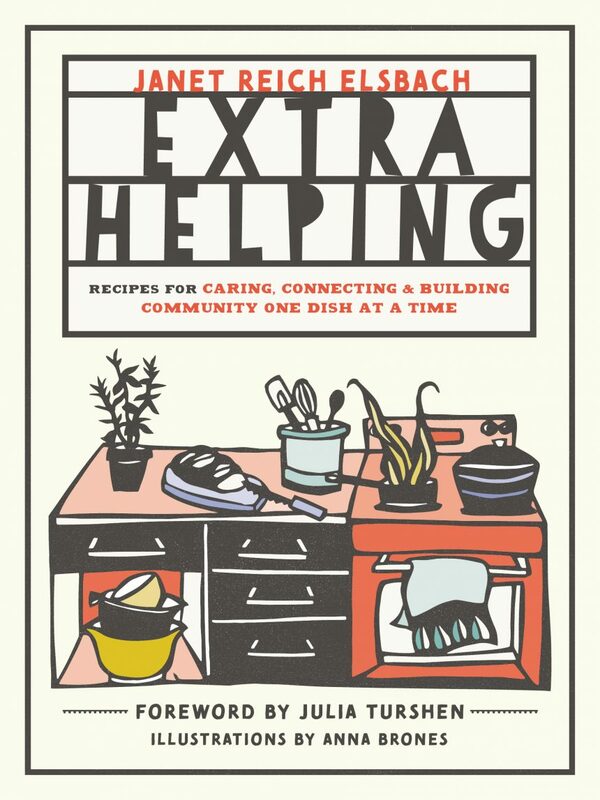 Janet Elsbach Reich is the author of Extra Helping: Recipes for Caring, Connecting, and Building Community One Dish at a Time (2018, Roost Books). She previously contributed to Modern Loss here and here.